Sugarcane published a guide to all of the Black artists found during Art Basel Miami Beach last week. We make sure to document where we are during this important time. 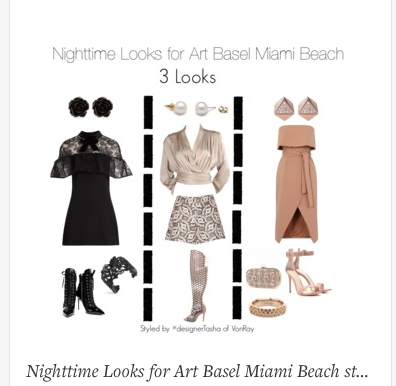 So, while you are preparing to hit the town, Latasha Henderson from Project Runway Season 15 and Von Ray Designs shared her magic and created a Polyvore board just for you. With fun prints and comfortable and trendy shoes, you can look creative and still be comfortable.